When will POTS officially end? In case you are lost, POTS means plain old telephone service. 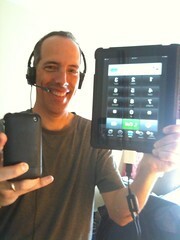 It doesn’t refer to Internet VOIP or Mobile phone technology – both of which I embrace and often use. Here’s an interesting observation I made, based on working for seven years with Motorola Mobility (now owned by Google). In the original system, the technical designer made the decision. While working with electrical and mechanical engineers, marketing always came up with ideas. Or they got involved with ideas that designers came up with. Many times you need advice from marketing, legal, design, etc. It’s difficult getting all factions to agree. Me? I just provided software support via Apache/Unix websites and Oracle databases for engineers. I had bosses who thought I should run Oracle databases for Apache/Java websites. But I thought MySQL was better suited. For that matter, so did Yahoo. In fact, Oracle ended up buying MySQL. What does that tell you? The LinkedIn discussion was part of an article discussion shared. At It’s entitled Is plain old telephone service really dying?. Since I found the LinkedIn group discussion via Google, I’ll share it here. 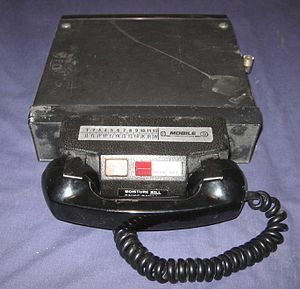 The title is the same: Is plain old telephone service really dying?. You can sample all the expert opinions – if you like. But as long as there are governmental regulations involved, POTS will probably be here a long, long time. The problem that POTS still solves is localized emergency service. That’s why I use an ATT land line, with Google Voice piggybacking for local and long distance calls. I basically use it for emergency, call receiving and toll free calls. I also use Skype for calling from the computer and international calls to other Skype users. NetTalk Duo used to be good – but they got average reviews now on Amazon. I think it’s due to customer service. And Magic Jack? I wouldn’t touch it with a ten-foot pole. They also got average reviews on Amazon.